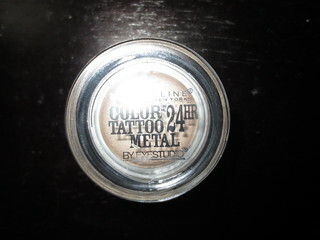 Today I have another Maybelline Color Tattoo to share with you from the new Metal Collection - Barely Branded. I've been waiting for a shade like this from the Color Tattoo range - one that is extremely wearable and can be used to neutralize the colour of your eyelids. 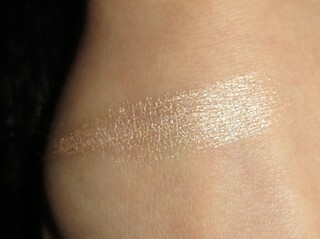 Barely Branded is a beautiful beige shade with slight silver shimmers. 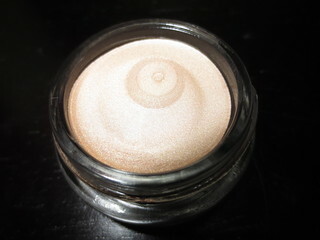 I love using this cream eye shadow as a primer and base for any other powder shadows that I will be wearing. You could really wear any shade over top of Barely Branded, since it is so neutral. However, I like to wear shades from Urban Decay's Naked Palette over top of Barely Branded. Now that I'm thinking about it, the new Naked Basics shades would probably work perfectly over Barely Branded! The Color Tattoo formula is amazing, the cream eye shadows are very blendable, and once they're applied and smudged, they will not budge. 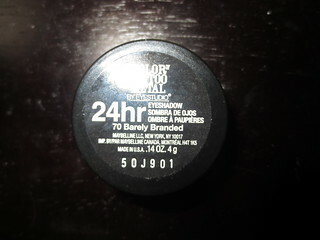 My eye make up will literally last all day long when I use one of Maybelline's Color Tattoos as a base. I believe this color is very similar if not the same to one from a previous limited edition collection of theirs. The color was called barely beige so for those that couldn't ever get their hands on it this color is a great second chance! I love these color tattoos so much I'm giving away Bad to the Bronze in my giveaway ! I just picked this one up and have really enjoyed wearing it! I wasn't a fan of the color tattoos at first but this one has changed my mind!